Now is the time for that original paint scheme! We have documents from Warren County that names B&M specifically. Unless B&M has branched out to flat rides, it's gonna be a coaster. We just don't know what type yet. Things change a lot in 2 days! This makes me very happy. Love that ride, it deserves re-tracking and hopefully a nice new paint job at some point. I think the part is really valuing the importance and selling power of nostalgia by really spending some time and effort into revamping Coney Mall the past 2 years. Then why remove Firehawk? If it was just because of maintenance, then it would have been done a while ago. See the way they waited to remove SOB until they were ready to install Banshee. Add on top of that the document, and it'd be way too coincidental for them to do all that for something not a coaster. Likely they didn`t announce it separate as it is part of yearly off season maintenance as the article indicates. They always retrack portions of the coasters every off season. I do admit that this looks like a bit more than their typical retracking. Glad to see the Racer getting some TLC. Well I guess we will wait and see then. I am not sold on it just yet. How do we know they aren't doing anything we Diamondback. its getting up there in age. I am hoping for a coaster as well but there is no rock solid proof of one yet. Well, keep in mind that GCI was also rebuilding large sections of Thunder Road each season before it finally met the wrecking ball to make room for Carolina Harbour water park. Not saying that Racer will meet the same fate, but just because a ride is refurbished doesn`t necessarily mean it will be here for years to come. See King Cobra that was repainted for the Action Zone conversion in 1999, and was dismantled at the beginning of the 2002 season. I do not think the same thing will happen to Racer. It is too iconic of a ride. ^I can answer #3- yes. Given that people were thinking we were going to get an RMC version of Son of Beast, I think that keeping this announcement nice and sweet was a better idea. It probably would have overshadowed the return of the Antiques, and I doubt that most of the GP would necessarily care. Will they enjoy the retracking? Sure, but unless it was getting converted into an RMC Hybrid then I think that it's not worth writing home about it. I wonder why they didn't include this in their announcements this summer? I would think this would have been a perfect pairing to announce with the Antique Cars. Kind of like a Coney Mall Makeover with the BBQ, Cars, and Racer Re-Track. Maybe they thought this would overshadow the Antique Cars announcement? Now if only we could get new PTC's for it, new paint, and run the chaser lights all the way down. Still a much needed TLC job for sure. I will say it was running better this season. The blue side even had decent pops of air for once on the return run. Fair enough. Has there been any sign of disassembly to Firehawk even? Storm Chaser never loaded on both sides. The other side is used as a train storage area. ^I have a feeling most of these posters will be gearing up for a decoding thread come April. Now that its confirmed we're getting a B&M, its just about sitting back and waiting for the shenanigans. Just saw this. 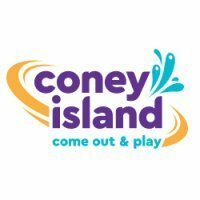 https://www.wcpo.com/money/consumer/dont-waste-your-money/kings-island-racer-coaster-getting-new-track-smoother-ride I didn't see it posted, yet. Interested to see how extensive the work will be. I'm with you all the way for that. Just because B&M is listed, doesn`t mean that there is a new coaster. They could be doing work on Banshee/Diamondback... Just throwing that out there. As of now, yes. Reference "Firehawk Leaving Kings Island" thread. I would assume that KI would probably tweet when they finally take down the track. It's what they did for SoB's demolition. Hopefully they are working on Red this offseason as well as it has been rougher than Blue. This is just a mash up of the clips I took last night of New Years at KI. This was KI’s first New Years celebration. Did you get to attend? What were your thoughts? Was it a blast or was it a bust? I'm getting a little tired of making the giga concepts for now. I'm taking a break. I'm also gearing up for April when we start seeing construction at the park. I'm sure opening day 2019, most enthusiasts will be headed to FOF first to check out the Firehawk plot of land. Enthusiasts' ire incoming in 5, 4, 3 2, 1... I didn't say it this time, Goble. thank you very much!! We try our best to cover what people want to see here local. Given how big the station is and if its converted to a queue house, you could really go all out in theming, something a la Flight of Fear even. Given 2020 might give us a giga, something of that level would go pretty well with something like that. Thank you for all of your coverage at KI!! I can`t wait to see what is on the Coney reels! That would be Joey Fessler. These are the reels of film he donated. There are 2 from Coney Island we plan on restoring as well. My former coworker's brother (who I believe is the grandson of the guy who shot that Fessler footage) posted some of it to Facebook in 2017 and more to YouTube last year. Interesting Blast from the Good Ole Past.